Welcome to the Album of the Year article for the year 2011! As always, this list is a collection of records that moved ME - records that left an impression on ME. I am a big believer in the fact that music is a personal experience, and we all have different tastes - different likes and dislikes. My only purpose for compiling this list is to, perhaps, point you in the direction of something that might move you, and also to give you a glimpse at what moved my life musically during the twelve months we called 2011. This is not about debating which albums are "better," this is simply about the music. It's always about the music here at Dr. Music's Weekly Checkup. The past year was one of the most surprising for me on a personal level. I would have never imagined putting Lady Gaga on my Album of the Year list. I would've laughed at you if you said I would end up listening to Katy Perry throughout most of this past year. Honestly, I'm a bit worried about myself. What the hell is wrong with me? I was raised on classic rock and metal. It's what I know best, and I have an undying adoration for it. I'm always open to all kinds of music, but Gaga and Katy Perry?!! Believe it, folks. Katy Perry's "Teenage Dream" album came out in 2010, which is why you don't see it on the list. But I can tell you, if I had the 2010 list to do over, "Teenage Dream" would be near the top of it. Call me whatever you like, I'm just being honest with you. The thing has more hooks than a tackle box, and there's something sensual about the way Perry squeals "Damn!" and tells about a manage a trois she had last Friday night. Alright, I apologize, but I just can't help myself. Try to bear with me. I thought this was a great year for music. I found all kinds of things to like. I am disappointed that I didn't get the chance to check out a lot of things I wanted to, like Wishbone Ash, Chickenfoot, Disturbed, The Cars, Bootsy Collins, Black Stone Cherry, Queensryche, Black Country Communion, Yes, Edwin McCain, Dream Theater, Michael Schenker, and many many more. I almost ignored this one, initially. I’ve never been much of a fan of the Joey Belladonna variety of Anthrax. I thought the band was greatly improved when John Bush took over vocal duties. Not only did the vocals get grittier, but the music got stronger as well. So, the return of original vocalist Joey Belladonna didn’t really excite me. Frankly, I was pretty disappointed…..until I heard this. This is definitely the best material the band has ever done with Belladonna, and it rivals even the best Bush material. Belladonna is very sharp here, and the music behind him is stronger than ever. The band knocks that New York chip off its shoulder and sounds like a serious thrash metal threat. I think what I dislike about the older “classic” material is the goofy attitude that runs through a lot of it. You could tell they had their caps turned sideways just by listening to some of that stuff. The band has always been tight and talented, but I had trouble taking a lot of it seriously. There’s a reason they open the Big 4 shows. Until now, I always had a few doubts about putting them beside the likes of Slayer and Megadeth, especially, but this release vaults the band into that league. This record is serious and heavy - not to mention seriously heavy. The band wasn’t messing around when they went in to record this one. This is a brilliant thrash metal record. They took the Album Of The Year title with their last one. The Pretty. Odd. release was a modern pop masterpiece, and this one is just as good, perhaps even better. This time around the band hires power pop songwriting genius Butch Walker, and they make memorable pop anthems together. After a couple of spins, this is an album that had me singing all day long. I’m a sucker for infectious pop with an edge, and these guys are the cat’s meow. It was the best selling album of the year, and there’s a reason for that. This thing is great. You can read the full review here. Hewitt puts together another brilliant instrumental guitar record that pushes the envelope. You can read the full review here. If you're looking for a thick slice of "Americana" by way of a modern day Gordon Lightfoot, then your order is up. Every syllable on this record is heartfelt and pure, delivered by a singer with an incredibly warm tone. Listening to this is similar to wrapping up in a fuzzy blanket by the fireplace, and watching the snow cover the pine trees outside your window. May's voice is second only to his songwriting prowess. Each song comes packaged with a great hook and a meaningful message. It's comfort music that touches the soul. The Flying Ryan Brothers carry on their legacy of dual harmony guitar rock with yet another impressive effort. Nobody does guitar harmonies like these guys. This is the first venture into bluegrass music for the Styx/Damn Yankees guitarist/vocalist, and he sounds right at home. This was a record that proved to me just how great Shaw is. To do something so completely different from the rock stuff he’s become famous for and have it be just as vital is a real feat. Oh stop it. There’s nothing funny about my putting Gaga on the list, just stop it. In all honesty, I was blown away when I realized that I actually liked this record. Her $.99 Amazon deal sucked me in, and I got hooked on the stuff shortly after that. This sounded a lot like Madonna to me, but I saw that as a positive thing. She has a lot of elements on this record that add integrity to her sound. The addition of Clarence Clemons on sax is a good start. How ‘bout Brian May on guitar for a track or two? She mixes up her styles a lot on this one, too. A song like “Americano” really pushes the envelope as far as her vocal abilities, and her boot kickin’ , Shania Twain-like hit “You And I” really had me captivated with the variance in style. The deeper I dove into the record, the more interesting and adventurous it became. This release proved to me that this is no teenie-bopper, fly by night, fad rocker. Gaga is a legitimate force in today’s pop world, and with efforts like Born This Way that status is well deserved. I know a lot of people miss the Deep Purple Ritchie Blackmore, and I think to myself, maybe they’ve never heard this stuff. Blackmore is a great musician, and this music puts his talents on display just as much as anything else. Pairing Blackmore with his angelic vocalist wife Candice is something that can be extremely powerful when it’s done correctly. In the past, Blackmore’s Night material has hit the mark, and at times it has fallen short. With this album, Ritchie and Candice and their merry men of minstrel music have put together a very solid set. Soaring vocals and rousing instrumental interludes kept me jigging for hours (in my imagination, at least). Don’t miss out on great music from a great musician. Be not afraid. If you like Ritchie, you just might like this record too. This is a CD that arrived at my door one day; I'm not even sure if it had a bio sheet with it. I get stuff like this all the time, with a lot of it below average at best. This one spoke to me, though. The sepia tone cover art. The long-haired figure standing with his or her steed. I found the fact that it was difficult to determine gender on the figure to be a little intriguing. Then the title, The Black Forest. I loved everything about this one before I heard a note. When I did get it played, the sound was a great throwback for me. I was instantly reminded of early Genesis with Peter Gabriel. This has a vocal very similar in style to that early Genesis material, with music that is a more modern, more guitar driven adaptation of that classic era. I also noticed that the CD is on "Foxtrot Records," which tells me that the similarities are intentional. Instead of a bad rip-off of something great, I found this to be a fresh and accomplished tribute to the classic sound of early Genesis. 2011 was a weak year for rock music in fact Lady Gaga's Born this way was had more impact than many of us would care to admit. Artist's like Whitesnake and Elton John/Leon Russell gave us music that was not worth the price of admission. The best rock music that was played was on the stage. It's only fitting that one guitar legend honors another guitar legend. Jeff puts together a room full of talent to do early rock-n-roll and Mary Ford/Les Paul songs. Great music loads of fun. These guys are a very talented bunch who write and perform great songs. My friend and I were stuck in traffic going to a concert in Boston and these guys just made the time pass away seamlessly. This is a hard rock album that reminds me of the 80's in a good way. Gary has come along way from his surfing tune covers. Check out "Only Human" and "Walk Away." When was the last time you heard Journey put out a guitar driven album? In the 70's they used to do it before they hit the power ballad circuit. Neal Schon's guitar is front and center of this CD. Check out "City Of Hope" if you don't believe me. *Styx - The Grand Illusion & Pieces of Eight Tour. This one actually started out late in 2010 and ran until the fall of 2011. I caught them when they came to Lowell, Ma. They sounded great. If you want to see what I am talking about a DVD is being released later this month. I caught this twice one in Lowell and Boston, Ma. John puts on a great show. He is one of the few artists who will play the new album and play many of his hits to satisfy him and his audience. And, he does two different set lists. If you like his music you will love seeing him live. I saw these guys all three nights when they rolled into Boston. They had a different theme for every night. They played early Dan, they had the fans make up the set list, they had the Royal Scam, and they were always "reel-ling in the years." In short, they were the best show of 2011. Hey Doc, what a year for music! I’ve been listening to Wishbone Ash's new CD “Elegant Stealth” and Ivy’s “All Hours” – both very good and true to form. Chevelle, "Hats off to the Bull". Every album they do is better than the last. I was hoping for Jane's Addiction, but not to be. My wife would vote for Incubus. While great, and "mature", it will isolate their fan base. Album I hoped to be AOY but wasn't: Gang of 4 - "Content"
Album that I liked better than I thought: Mr Big - "When Pigs Fly"
Band that grew the most from obscurity: Black Keys with "El Camino"
Jury is out: New Red Hot Chilli Peppers, I haven't heard enough of it yet, but what I've heard so far is interesting. I couldn't tell you...didn't buy a single CD this year, and most of the new stuff I heard was complete sh*t.
6. Jenna Bågeberg - Nyt! It was hard to leave some albums off the list. For example, Lady Gaga's "Born This Way" and Haloo Helsinki's "III" were also very good albums, but I decided to choose only ten. 10. School is Cool - Entropology. Let's be chauvinistic. Best album by a Belgian band - sounds like a mix between Arcade Fire and eighties smart-asses XTC. 09. Yes - We Can Fly From Here. The dinosaurs of progrock replace their singer, hook up with über-producer Trevor Horn and come up with a surprisingly good album. 08. Death Cab For Cutie - Codes & Keys. Not a killer album like "Plans" was, but still way above average. 07. Elbow - Build A Rocket Boys. Only album with a song that actually made me cry. 06. Noah & the Whale - Last Night on Earth. Good singer and a nice bunch of melodic songs. 05. Wolf Gang - Suego Faults. A debut album made with guts and style, filled with catchy, multi layered songs and a singer that shifts effortlessly between a UK copy of Brendan Flowers and a indie style Mika. 04. The Feeling - Together We Were Made. Sugary pop that is too irresistible to dislike, with Roisin Murphy, Sophie Ellis-Bextor and Freemansons helping a hand. 03. Frank Turner - England Keep My Bones. A passionate, no holds barred mix of working class rock and fierce folk. 02. Cold War Kids - Mine is Yours. Kings of Leons last album may have been a bit hit and miss, but here's the alternative. An album I'll never grow tired of. 01. Foo Fighters - Wasting Light. Simply the best collection of songs I've heard this year. Killer riffs, killer vocals, killer production. And with it's total playing time of 50 minutes an ideal start-to-finish companion on my iPod, for when I go running. Best clip: Foo Fighters: Walk, a lovely reference to one of my favorite movies, Joel Schumachers "Falling Down". Best rock moment: Foo Fighters: Rope, from 2'49" to 3'29". Best lyric: Frank Turner - "Peggy Sang the Blues"
Looking out for your selection, and that from you readers. Here are my pics--Wilco, Black Keys and TV on the Radio! 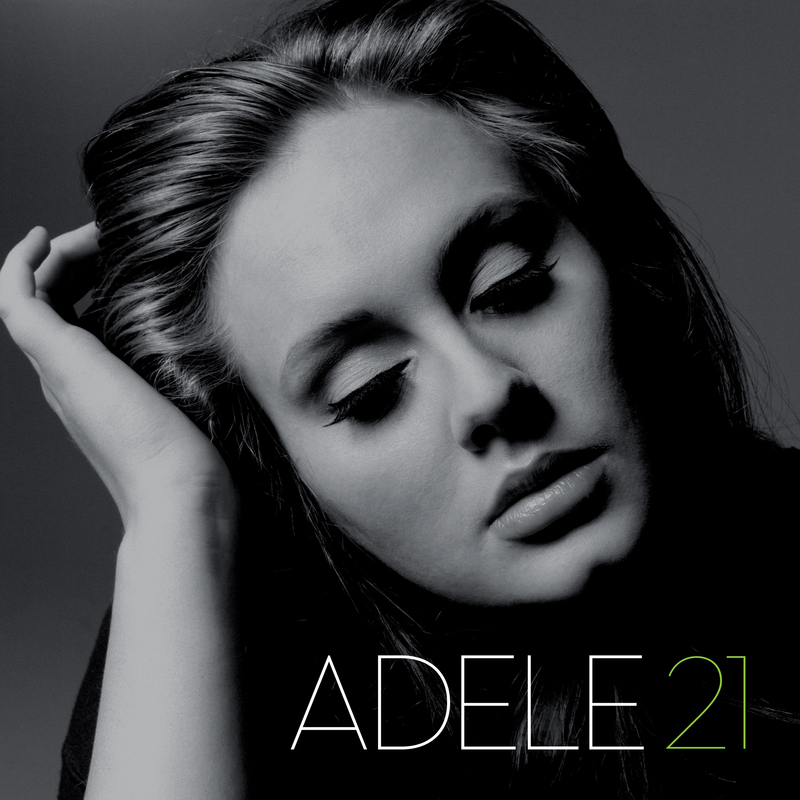 Adele - Such an extraordinary voice! Didn't buy much this year, but I'm sure I forgot something... The new Cars disc was ok. Early vote for worst album of 2012 - Van Halen! Without a doubt...Neil Young - Le Noise Absolute Genius! l hearby nominate Dream Theater's '' A Dramatic Turn of Events'' as my favourite and most played CD of 2011. Hopefully they will win the grammy for ''On the Back of Angels." Do they miss Mike Portnoy? A close second is ''Dust Bowl' by Joe Bonamassa, then third is '' Unusual Suspects'' by Leslie West. I have been struggling with my list this year. When I think back to what I listened to most, I find that it is a lot of older stuff. I spent a lot of time listening to Joe Bonamassa. I broke out a lot of old Foo Fighters, and spent some time with the new Slayer release. For me, the album of 2011 is Leslie West - Unusual Suspects. Of course, being Swiss, I also have to mention Gotthard - Homegrown, Alive In Lugano. Tom "Tearaway" Schulte is the host of the Outsight Radio Hours internet radio program. The following is a list of the most played albums on that show. You can find a podcast of Outsight Radio Hours on iTunes. So, this is what Jack White has been up to. Nice!